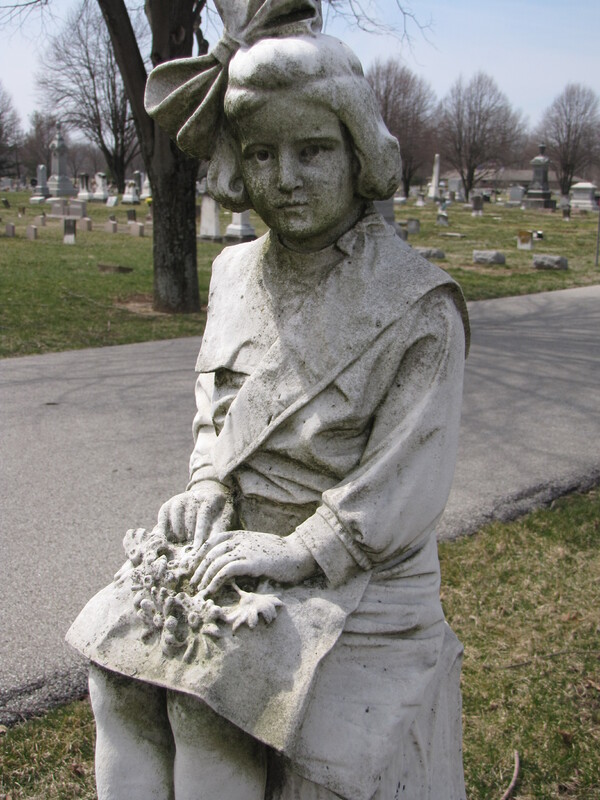 The Rest Haven Cemetery at Edinburgh, Indiana, has an excellent example of the Victorian practice of memorializing children in funerary sculpture. Minnie Belle Lain, the 8-year old daughter of Frank and May Maggie Lain, tumbled out of her father’s wagon as it crossed a bridge, she could not be saved. 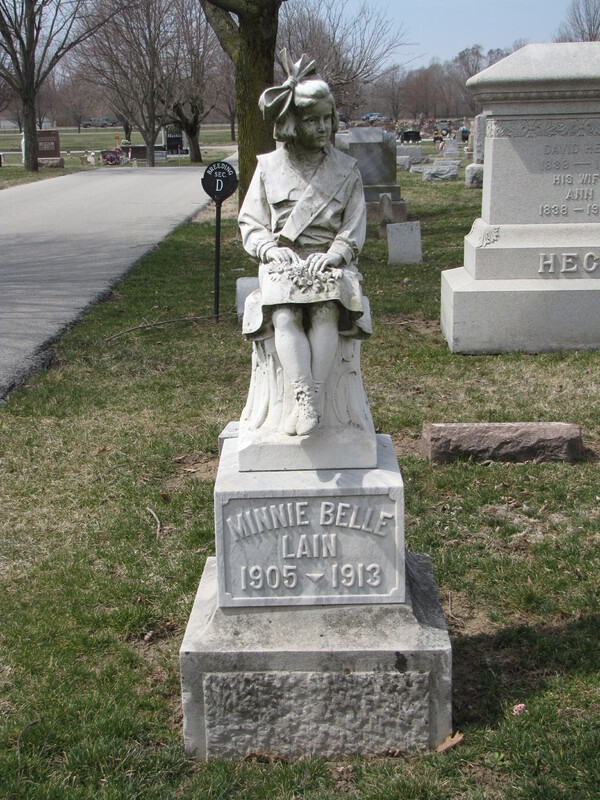 Minnie Belle Lain is depicted in her finest clothing complete with a bow in her hair. She sits with her legs crossed with a bouquet of daisies on her lap. In the Victorian language of flowers the daisy represented purity, love, and beauty.